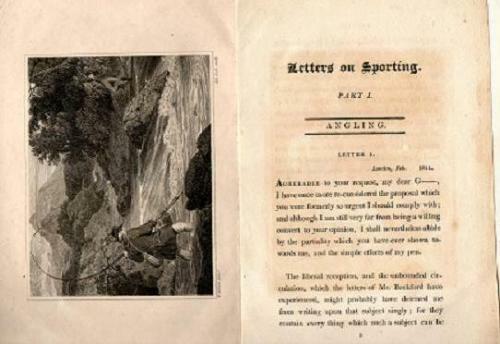 Paperback edition, possibly a printer's draft, of these letters which were published c1811 as part of a series of sporting letters. This is the first and focusses on angling and fly-fishing in particular. The last letter is signed by 'Piscator'. 123pp in faded green paper cover. Binding is weak but holding and there are no titles. Page edges are rough cut but the contents are largely clean and there is light foxing to the first page or two and to the frontis illustration. This is a book for the collector and/or fly enthusiast. Scarce in its regular edition.